International delivery available to most regions. 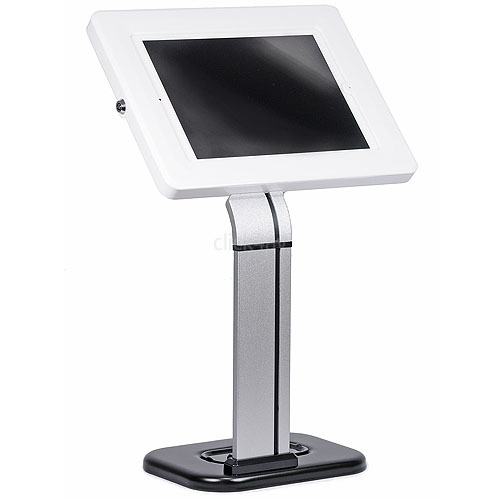 A lockable white 10 inch tablet desk stand for iPad 1 2 3 or Air. 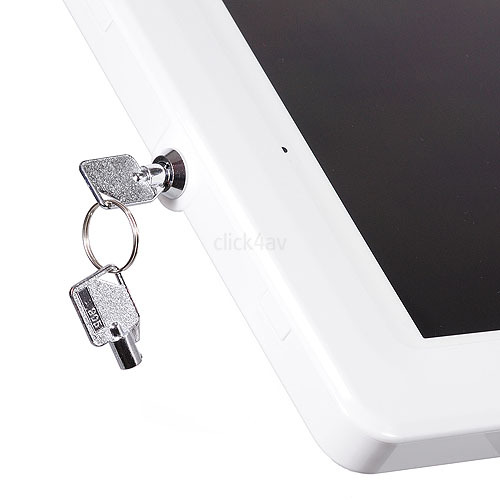 The plastic case is designed to cover the home button on an iPad to allow limited public access to the tablet content. 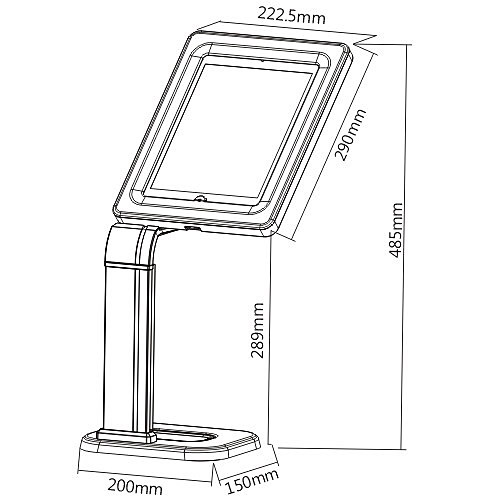 The case can be installed for landscape or portrait viewing and cables can be routed through aluminium upright for a clean installation. The centre cover of the steel base hides the two fixing points, where the stand can be fixed to a counter top using the provided fixings. 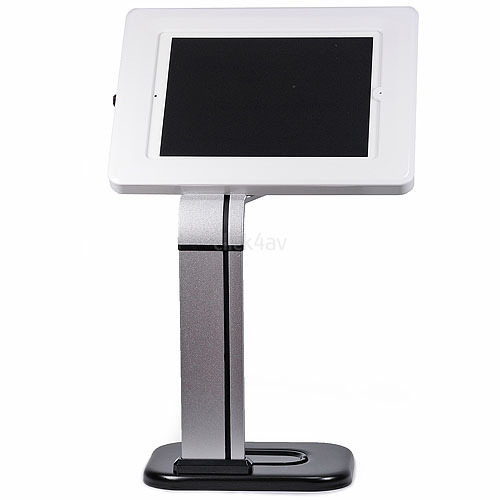 The stand has a fixed height and display angle and cannot be adjusted. 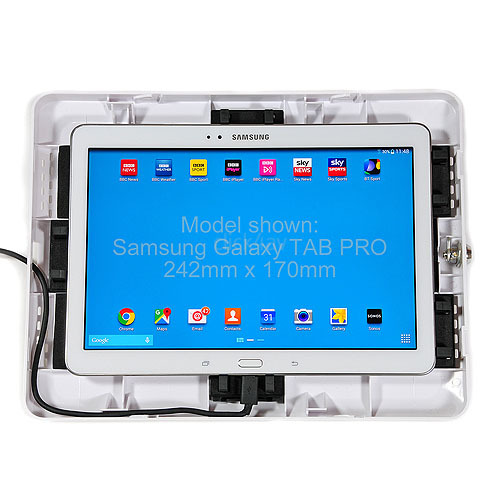 Materials: case - plastic, upright - aluminium, base - steel.